Quietly located on the riverside of Magazine Street off of Henry Clay Avenue, Audubon Park's Tennis Courts are a thing of true beauty. Audubon Park is home to the best tennis courts New Orleans has to offer. Not only does Audubon Park offer ten tennis courts, they offer all of them on clay, one of the sports premier surfaces. Along with excellent playing surfaces, New Orleans' own Audubon Park offers outstanding rates, a friendly staff and well manicured claycourts, making your next match a true delight. Whether you are a seasoned veteran or are picking up a racket for the first time, Audubon Tennis Courts has an outstanding facility for playing tennis. Contact us today by giving us a call at (504) 895-1042. Audubon Park tennis courts is a public facility with 10 courts. - Savings book available - 10 hours of play for $110. Audubon Members receive 20% off for court time only. Book-holders are entitled to reserve courts by phone: (504) 895-1042. - Reserve your court in person or call (504) 895-1042. Audubon Park Tennis Courts are located in Audubon Park at 6320 Tchoupitoulas Street (adjacent to Children's Hospital), New Orleans, Louisiana. Whether you've been playing your whole life or are just picking up a racket for the first time, tennis lessons with a USTPR/USTPA certified instructor can do wonders for your game. The knowledgeable professionals at Audubon Tennis Courts have years of experience and have the right tricks to get your game in shape. Under the direction of Head Pro, Chris Barbe, Audubon Tennis Courts have provided years of top notch results for players of all skill sets. Private lessons, group lessons and clinics are available for juniors and adults. We are staffed by four professionals, all USTPR/USTPA certified, and the facility is under the direction of Chris Barbe, Head Pro. 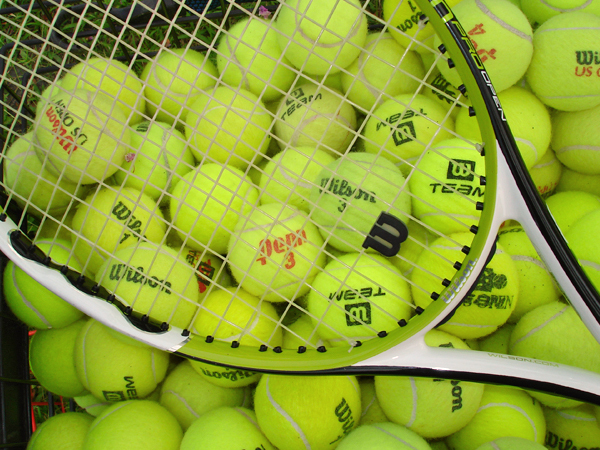 We also offer racquet-stringing and tennis accessories.